Creative spirits are not afraid to work with new ideas nor worry how others judge their art. They think and play freely without expectations, self-judgment or predetermined outcomes and express their thoughts about their work without fear. Excerpt from Nurture Your Creative Spirit. Detail of felted leaves and trunk from my quilt, Against All Odds. Creating the machine felted collage was pure joy of creative experimentation. 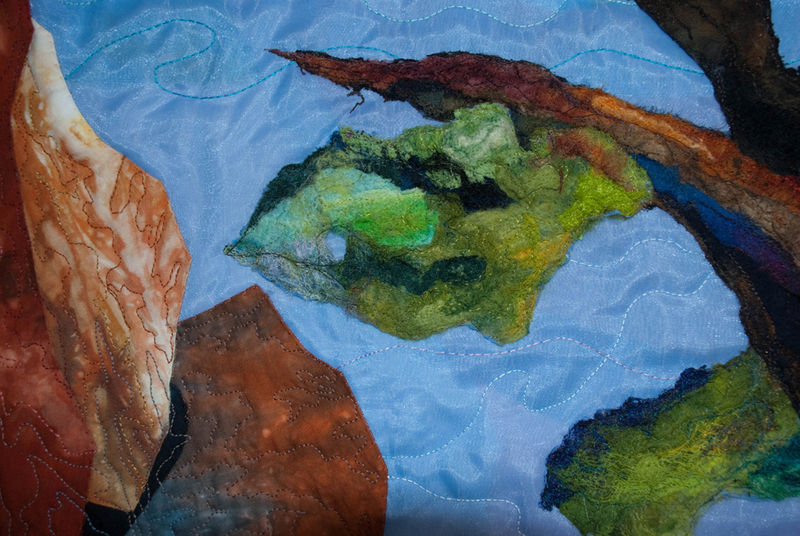 The felted collage contains cotton, wool, silk, wool and silk roving, cheesecloth and various polyester sheer organzas. Tags: art, collage, creative, fabrics, felting, nurture your creative spirit, quilting, self-expression | Permalink.